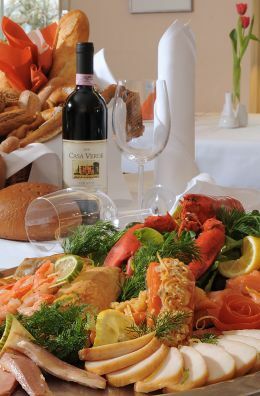 Festive menus or classic, rustic and Mediterranean buffets we provide will also be happy to go home or to the location of your choice. Our offer includes finger food / canapés, various cold cuts, fried dishes with savory side dishes, salads and desserts - perfect for every occasion catering. We are happy to advise you and assist you in compiling your menu. If desired, we provide the necessary Equipmet for your event such as dishes, table linens and much more available to organize or beer venture and beer garden tables.